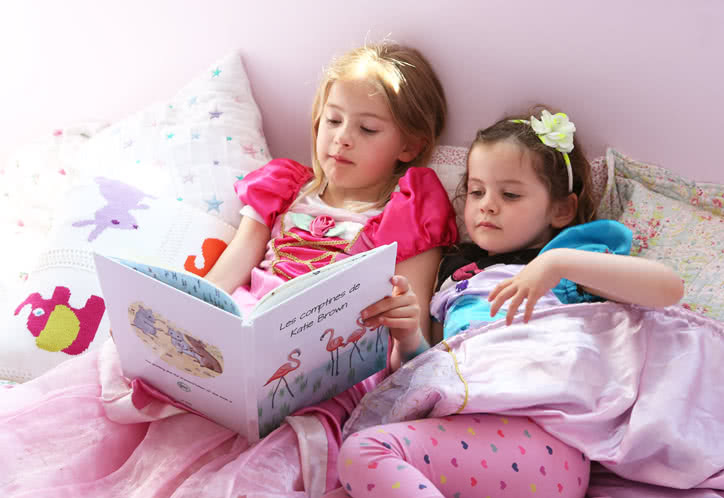 MyNameBook Animals is the ultimate bedtime story for every little child. 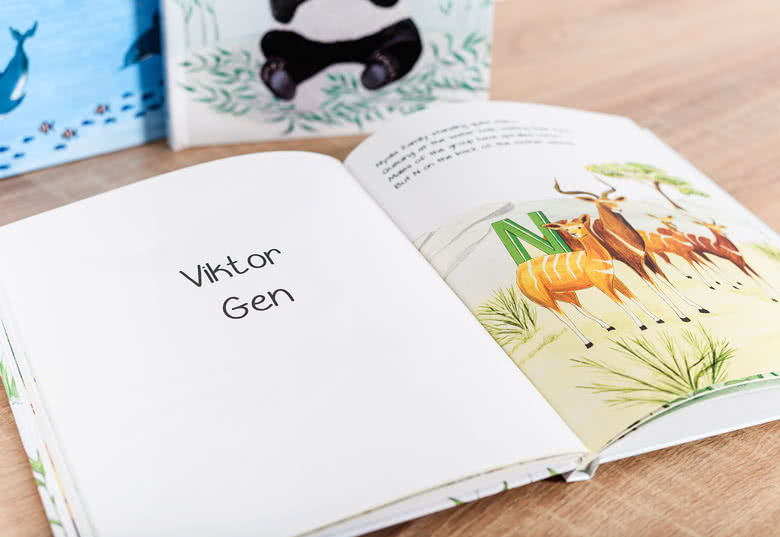 In this book the child’s first and last name are put together letter by letter with playful rhymes in which several animals gather each a different letter to form the name. Little kids will love it! It’s not only fun but also educational. They’ll learn how to spell their name in a magical and original way. 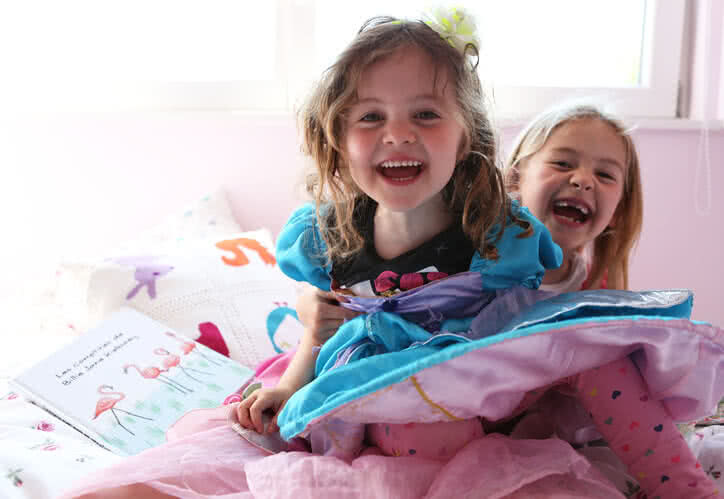 It’s a great souvenir that they will treasure forever. 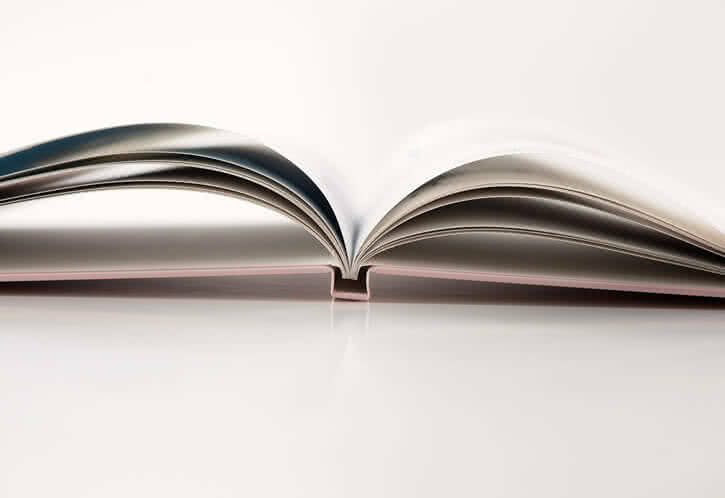 How will MyNameBook be composed? 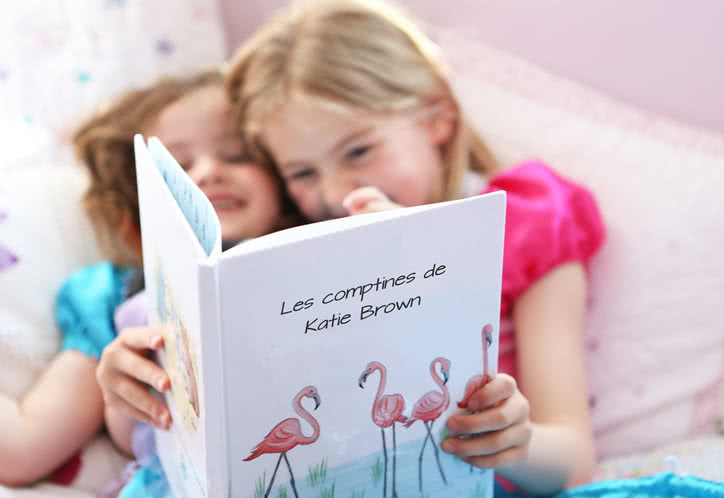 On the cover you will find the name of the child and the animal you chose. 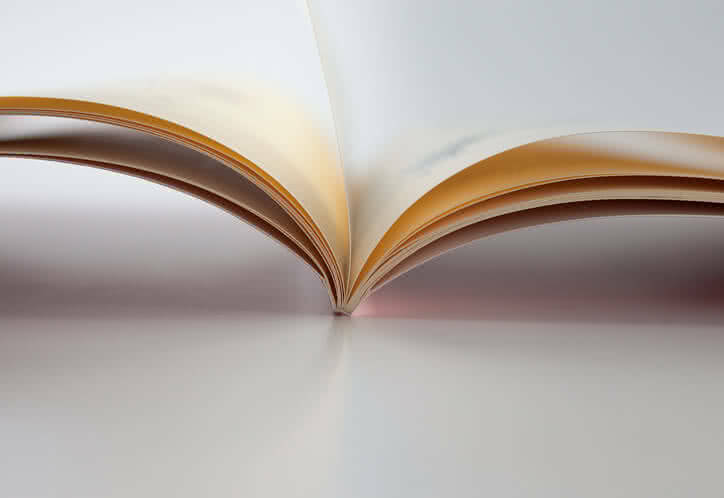 Before the actual story begins you have the option to write a personal message which will be printed on the inside of the cover. That’s all you have to do! After this, the book will automatically be filled with little rhymes in which the animals gather the different letters of the name. Don’t worry about returning letters in the child’s name, a different rhyme and animal will be featured every single time. Let’s get started! 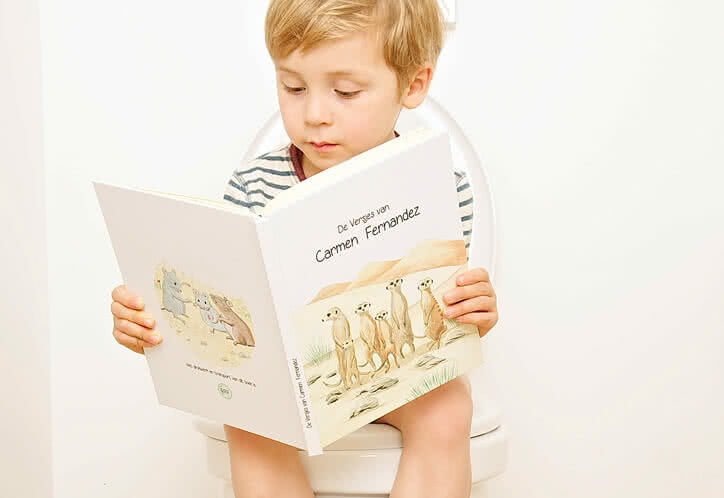 MyNameBook Animals uses the letters of each individual child's first and surname. and each letter is represented by an animal. 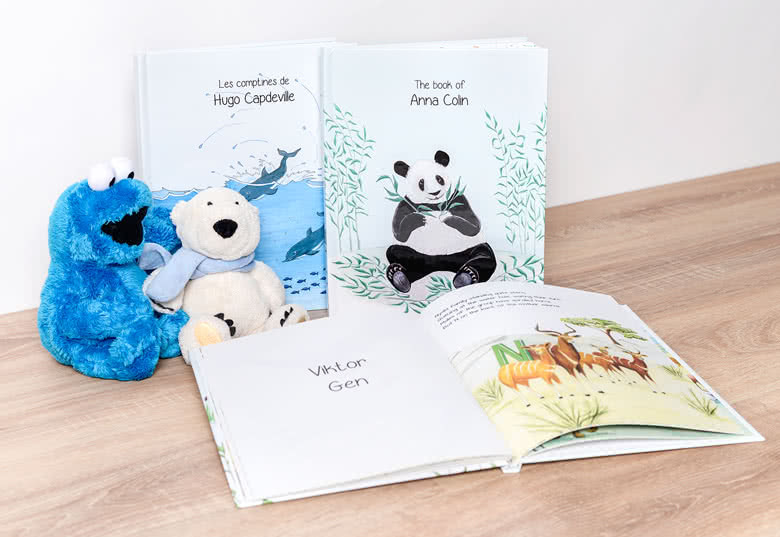 This personalised story book with the child's name in the story is a unique and tailor made gift for ever child that loves animals. 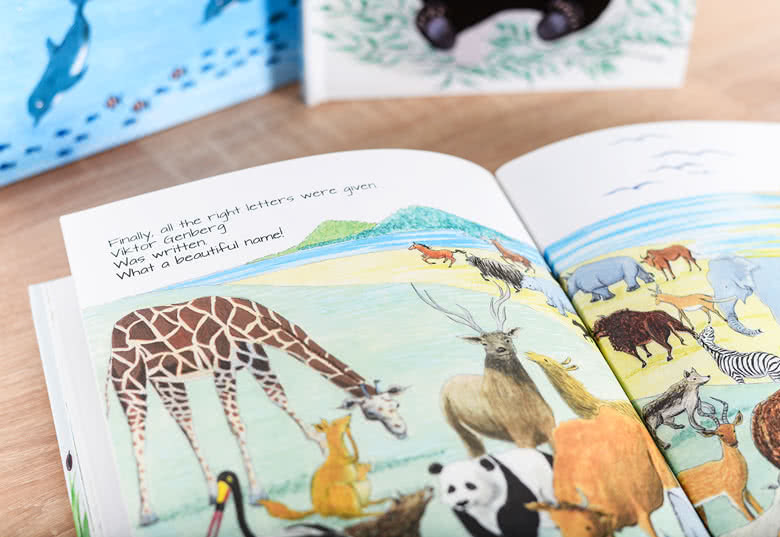 A personalised book is a perfect gift for birth, for christening, name giving or birthdays.